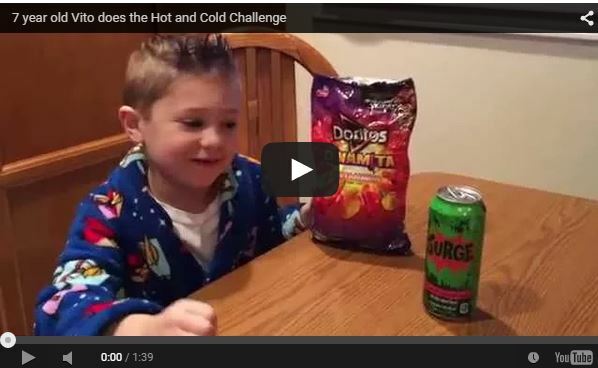 Vito is attempting what he has called the Hot and Cold Challenge. He is attempting to dominate some Fiery Habanero Dinamita Doritos and then cool off in the 20 degree weather in Metro Detroit. If Vito can get 100,000 or more views on this video, his Dad will buy him a Nintendo WiiU – which is something he wants pretty bad. Shout out to LA Beast, his favorite Youtuber.